We’ll allocate the funds to the project that needs them most. Join our mailing list (it's like two emails a year). Over the past ten years, OSH has built 75 homes in rural Mexico, the Mississippi Delta, Haiti and Shreveport, Louisiana. Thanks to the tremendous support of our donors and volunteers, we’ve been able to help countless families. And because we’re run entirely by volunteers, we’re able to promise that your donations go directly towards helping these families. A special thanks to everyone who has helped in our simple mission. 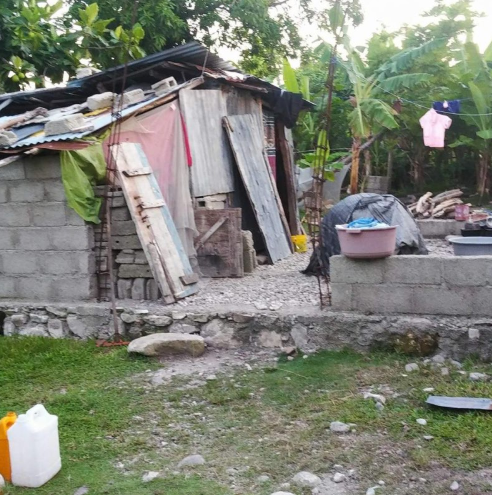 HAITI: Zakarie and his family with food and supplies as he is able to but he doesnt have the financial means to help them rebuild their home that was severely damaged by Matthew. Zakarie is a mason and farmer, but is currently unable to find work. Zakarie is taking care of his wife, elderly parents, and 2 children. Sometimes they make the long 6hr journey into Port-au-Prince to try and sell things in the markets, but they barely get by. This photo is where Zakarie and his family live. There are 6 people living and sleeping in this structure, they are in desperate need of a sound home to live in. With your help, Wismac will work with a local team and help Zakarie rebuild his home. Click here to learn more about this project. A Special Thanks to Those Who Have Already Given!